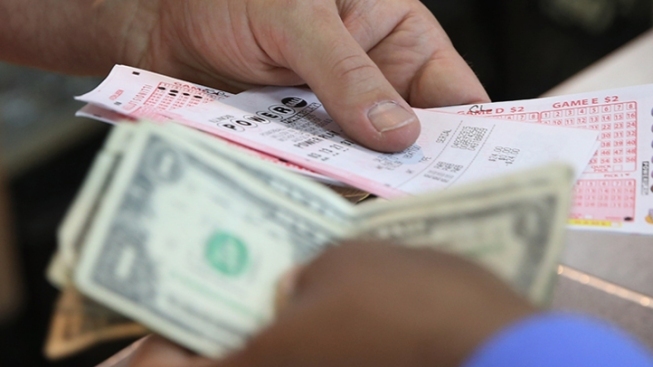 For the second time in just over a week, a $1 million lottery ticket was puchased in Sterling. A customer purchases a Powerball lottery ticket. It looks like we all need to go to Loudoun County, Virgnia, to buy our next lottery ticket. For the second time in a little more than a week, a $1 million lottery ticket was purchased in Sterling. The most recent winner bought a Powerball ticket for Saturday's drawing at Getty Mart at 209 East Holly Avenue. The winner has not come forward. Lottery officials say they also don't know who matched the first five numbers of the June 13 Mega Millions drawing with a ticket purchased at the 7-Eleven at 46141 Woodshire Drive. Both winners have 180 days from the day of their drawings to claim their prize.